Ghost Mannequin Service is one of the most popular forms of image manipulation process. 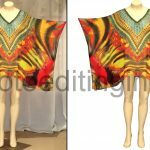 Several e-commerce retailers seek the help of photo editing techniques to make their garment images look more realistic and creative. Photographing images of apparels on the magic mannequin will bring a professional touch and make they appear real and flawless. However, you have to remove the mannequin from the final image before posting them on your e-commerce or official website. 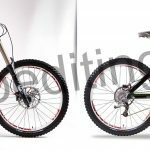 Are you looking for a reliable and experienced clipping path service that will easily bring the desired results to your apparel? 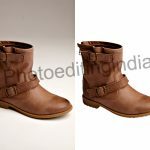 Photo Editing India have an experienced team of photo editors with extensive knowledge about the process of ghost mannequin photoshop. The ghost mannequin editing will remove all traces of the mannequin and leaves just the image of your product. 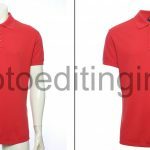 Also we perform clipping path with ghost mannequin services in order to ensure that your final image is attractive and appealing to potential buyers. We will put in extra efforts for balancing the color variations of the images, fix any remaining issues, and deliver your apparel images within the preset deadline. A customer will have to understand the fabric of the garments that you are offering. They will not buy the product if they have no idea on the design, fabric, and shape of the garments. Due to this, it is recommended to seek the help of an experienced photo editing service who offers quality ghost mannequin service. They will selectively remove the mannequin out of the garments for displaying the inner side of the product. This will, in turn, help your potential customers in knowing more about the garments displayed. Using models to showcase your products can be a little bit expensive, which means that you will have to rely on mannequins someday. Using a mannequin instead of models will help you save plenty of time and money. This single factor alone will make you switch to mannequins. However, you will never have to worry about removing the mannequins from your garments. Because our expert photo editors at Photo Editing India will take care of the process. 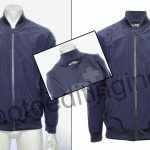 Another major reason why you should use the image manipulation technique of ghost mannequin is that it will make your garments appear a lot more attractive and genuine to the customers. The ghost mannequin effect help your products to hold their shapes, which in turn make the product images look more professional and consistent. Also we are glad to offer our services to all other professionals and personal users who work with photos. Thereby assist you to increase the quality of the image and get a more enhanced result. If you are one of them who requires our creative expertise in ghost mannequin and enhancement, please contact us for a free trial and to get a customized quote on your project.